Are you envious of your neighbor’s new backyard lounge area? Are you looking for a fire pit to relax around in the summer? Would a retaining wall be a nice accent to your front yard? 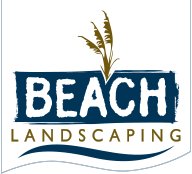 Beach Landscaping is here to help with your outdoor projects! Some outdoor projects are better left to professionals. Sure, almost anybody can lay down some stepping-stones in their backyard and make them look good. What we can do is accentuate the colors in those stepping-stones to match the accent stones in your outdoor grill area. We can do all of the following and more: fire pits, patios, retaining walls, sidewalks, walkways, fountains, edging, benches, echelon planters, fireplaces, stairs, and waterfalls.